College basketball season is back! 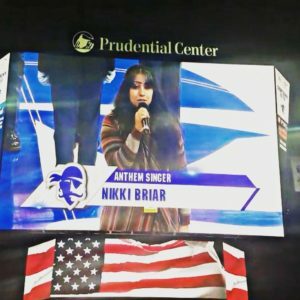 Nikki Briar returns for her 4th year performing the national anthem at the Prudential Center in Newark, NJ for the Seton Hall University Big East College Basketball games. Catch Nikki on FOXsports and follow her game schedule here at www.nikkibriar.com.